American Shaun White cemented his legacy as the most successful snowboarder of all time as he delivered a stunning routine under massive pressure on the final run of a gripping halfpipe final on Wednesday to win his third Winter Olympic gold and a landmark 100th for his country. White needed a big performance to overhaul Japan's Ayumu Hirano and duly delivered with a spectacular display to earn a score of 97.75. His victory means the United States have won all four snowboarding golds awarded at the Games. White, 31, triumphed in 2006 and 2010 and after a long wait for his score on Wednesday he roared with emotion, punching the air as his superstar status - briefly undermined when he failed in Sochi four years ago - was set in stone. "Man, that was awful and amazing at the same time," White said of the long wait for his score. "I knew I did a great ride and I was proud of that and I could walk away with my head high, but when they announced my score and I'd won, it crippled me." Nineteen-year-old Hirano, who edged into first place after his second run and then posted 95.25 on his third, could not hide his disappointment as he trudged away from the finish area having matched his silver from Sochi 2014. Australian Scotty James, the 23-year-old world champion, took bronze. It was an emotional day for White, who as the "old man of the sport" was being questioned, with some observers feeling his marks benefited from his reputation. Nobody can question the American's dedication, however, as he fought back from a crash in October that left him with 62 stitches in his face. "I was so overwhelmed with happiness, I've been through so much to get here. I had this crazy injury in New Zealand where I busted my face open," he said. 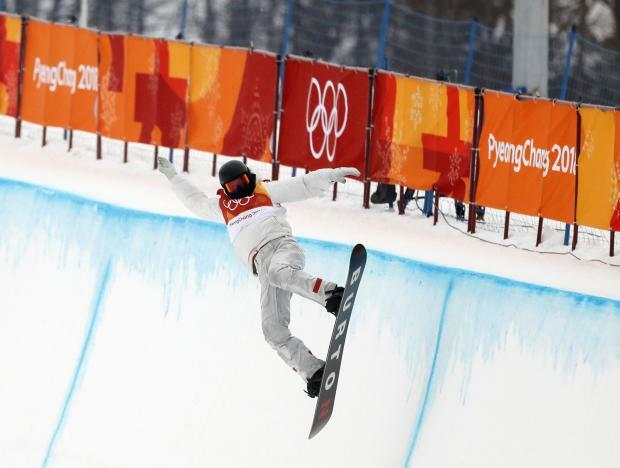 "I actually did the same trick that injured me here in the halfpipe today. So there were a lot of obstacles to overcome and now it's all worth it. "Honestly it's one of the most challenging runs I've ever done. I didn't even link the combination, the 14 to 14 (back-to-back 1440s) until I got here, today, this morning. So, honestly, I'm just so happy with my performance. I'm proud of the other riders for pushing me this whole time." James, who fell on his final routine, said: "It could have gone either way between first and second. If you look back at some details, I mean it would be interesting to see. "He (White) just comes out and he knows these moments and he just delivers. I know he's been working hard, so credit to him for being able to put it together today." Shaun White has won a third successive Olympic gold medal after winning the halfpipe event.